When I founded Baltimore Corps with Wes Moore five years ago, it was with a simple premise in mind: We need better ways for the most talented people to go to work solving the world’s most important challenges. Five years into our mission to enlist talent to accelerate social innovation in Baltimore and advance a citywide agenda for equity and racial justice, we continue to feel the “fierce urgency of now.” The world’s –- and Baltimore’s –- most important challenges continue to evolve, and so, too, do our strategies for ensuring the most talented people are able to put their minds to the task of solving these challenges. We have grown from our first Fellows cohort of 10 to our current cohort of 42, supported by staff and faculty responsible for developing and implementing a robust cohort experience, from race & equity trainings to professional development around results-based leadership, design-thinking, and so much more! Building on our early success with the Fellowship program, we were able to expand our matching of talent to opportunity in Baltimore’s social sector through our year-round Place for Purpose service for mid- to senior-level professionals. 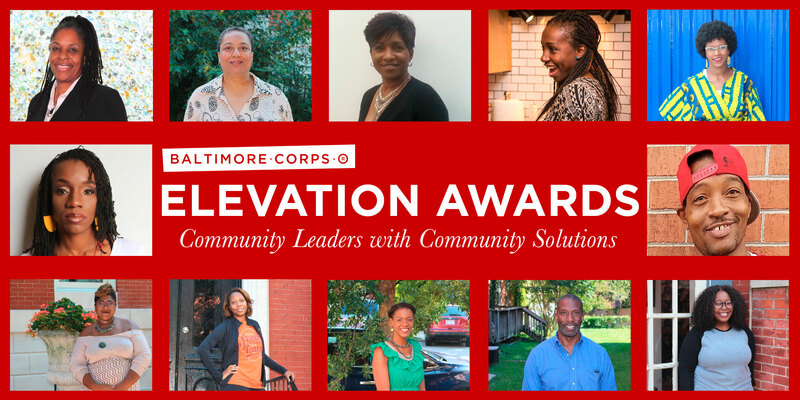 I’m also incredibly proud of our Elevation Awards program, which allows us to support community leaders with community solutions. This allows us to broaden our pipeline to equity in leadership through funding and supporting social entrepreneurs working to solve our most important challenges. And, as we enter our fifth year, we look forward to sharing with you our continuing vision for Advancing the Future of Baltimore Through Equity, Innovation, and Leadership, including new partnerships with like-minded local and national organizations. But, most of all, the story of Baltimore Corps is the story of YOU. I hope you’ll take the opportunity to share your story with us and celebrate our communal success. Check out our special 5-year section of the website for information on our history, sponsorship opportunities, weeklong celebration planned for October and beyond! TODAY | Wednesday, July 11 | 6:30-8:15 p.m. TOMORROW | Thursday, July 12 | 5:30-7:30 p.m.
Amazing Grace Lutheran Church | 2424 McElderry St.
Tuesday, July 17 | 12:00-1:30 p.m.
On June 12, 2016-17 Elevation Awardee Brittany Young was named a 2018 Echoing Green Fellow for her B-360 program connecting Baltimore's dirt bike culture to STEM education and careers. 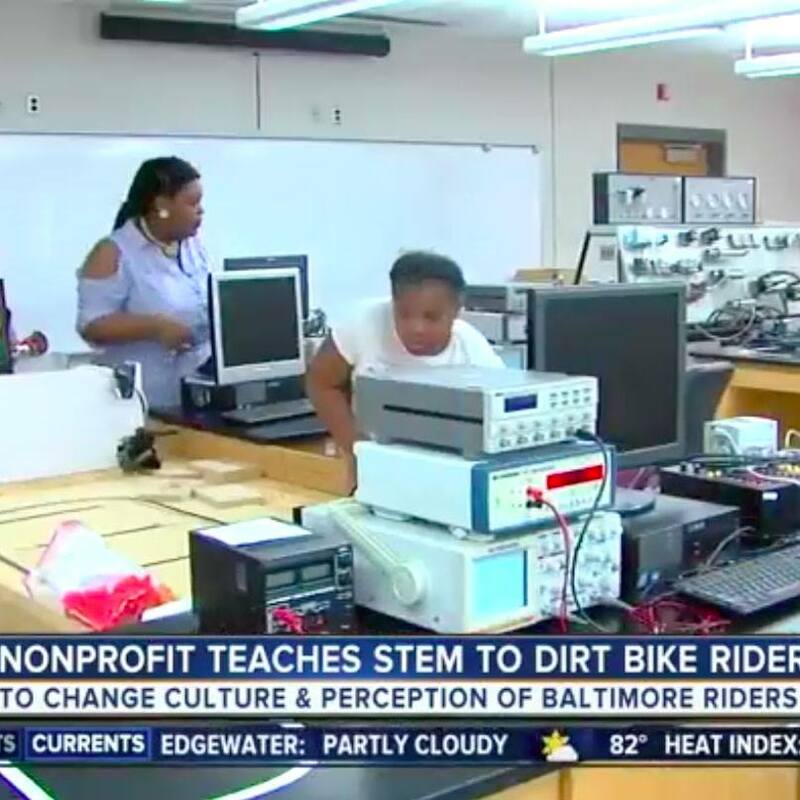 Check out the WMAR Channel 2 News feature to learn more. 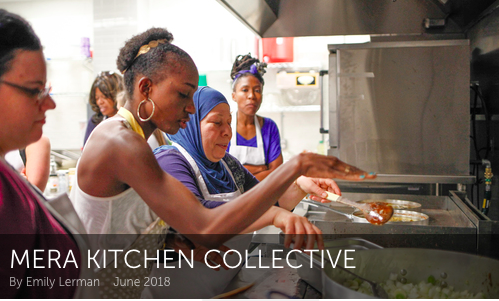 On June 20 (appropriately also World Refugee Day), 2017-18 Elevation Awardee Liliane Makole’s Mera Kitchen Collective was named Awesome Baltimore’s June grant awardee. Awesome Baltimore provides $1,000 bimonthly grants to awesome projects in Baltimore. What's YOUR Baltimore Corps Story? Baltimore Corps is a network powered by an organization. Our 5-year story is made up of the stories of our network over the past 5 years, from our first cohort of 10 Fellows to our most recent Elevation Awardees, and all the Visionary Cause Leaders, Alumni, Partners, and Champions who have joined in advancing our mission in between. Help us celebrate our 5-year anniversary by sharing YOUR Baltimore Corps story. On June 30, Dr. Lawrence Brown conducted the final session in the Race & Equity Series our Fellows have been going through during the course of the year. On June 27, Baltimore Corps staff talked with YouthWorks Baltimore participants at 2017-18 Elevation Awardee Mary Alexander’s site. On June 26, community partners, organized by Fellow Eean Logan and #BaltimoreVotes, celebrated Primary Election Day around town. Interested in hosting a community celebration for the November election? Reach out to Eean or come celebrate with us...details to come! On June 25 and 26, 2017-18 Elevation Awardee Tionne Scribner’s Shutdown Academy Cheer held tryouts for their award-winning team, empowering youth and communities through sport. 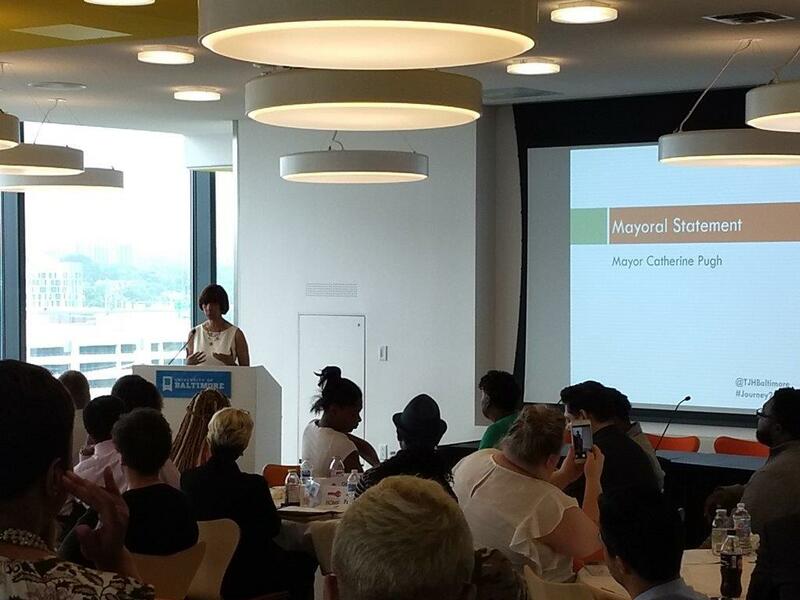 On June 21, the Mayor’s Office of Human Services hosted the #Journey2Jobs forum, which Fellow Joseph Spielberger helped to organize. On June 19, we celebrated our 2017-18 Elevation Awardees and opened applications for our next class of Awardees. During the month of June, Baltimore Corps welcomed interns Solape Afolabi (Towson University, through the UMBC Sondheim Nonprofit Leadership Program) and Emma Maxwell (Johns Hopkins University Community Impact Internships Program). 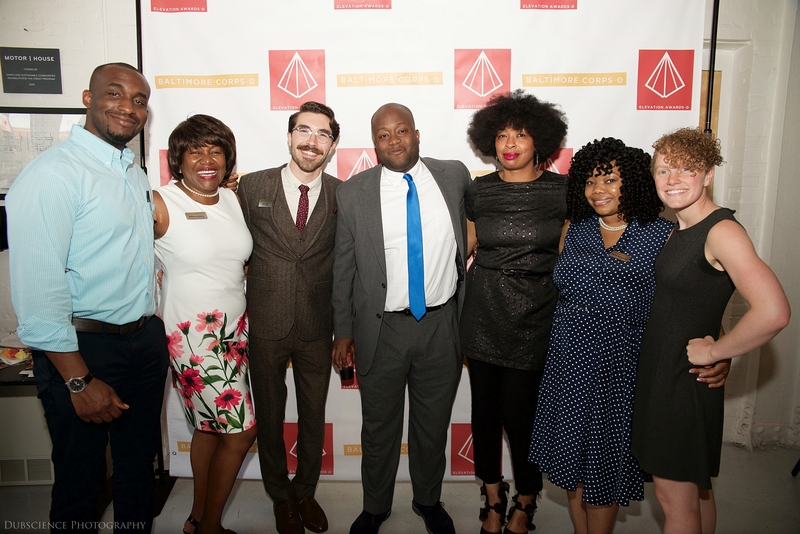 Our sustained support of Elevation Awardees, Race & Equity and professional development programming for Fellows, investment in our community, and so much more is not possible without your ongoing support! with the Baltimore Corps network!